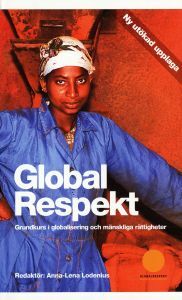 Global Respect was a project runned by the Olof Palme International Center. I was the administrator for a while and the editor of a study material that first was presented on-line, later as a book. We also translated the whole material to English. The material was easy to use, it was just to register and begin straight ahead. Unfortunately it’s no longer available in a digital version. 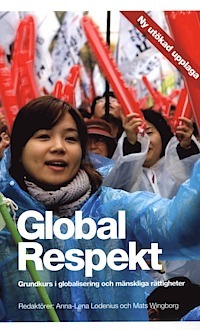 There were 9 lessons about poverty, democracy and Human Rights with a focus on Workers Rights. The material was on an fairly easy level, suitable for trade unions, schools etc. Some parts might still be useful, others might be out of date (the English version was completed in 2005 and has not been revised since then). We also printed the English version. There might still be some copies of the printed version around, try to get in contact with Premiss förlag or the Palmecenter. During 2003 and 2004 the project was financed by the EU Commission and we were cooperating with Solidar in Brussels. We also made a seminar in Brussels together with Solidar 2004. 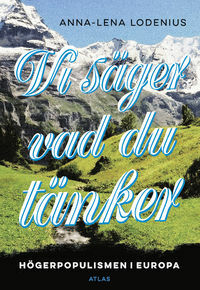 The Swedish version was presented in an updated version 2006 and yet another very different version in 2014, but unfortunately those were not translated into English.